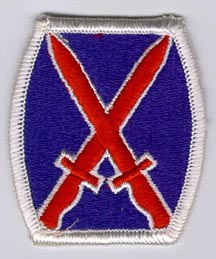 The 10th Mountain Division was formed in World War II as a unit of elite troops with special operational skills adapted to mountain terrain. 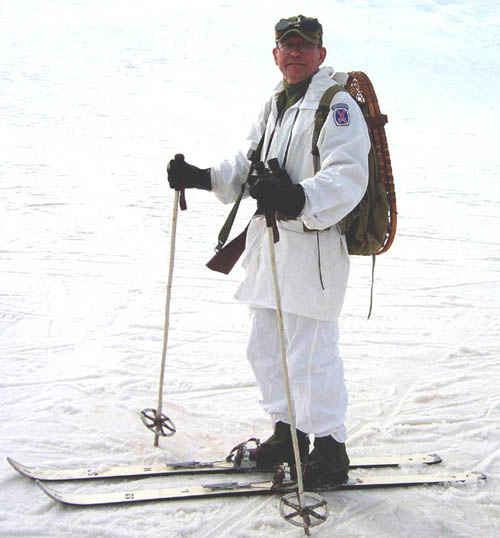 The National Ski Patrol actively recruited skiers to join the newly formed unit. 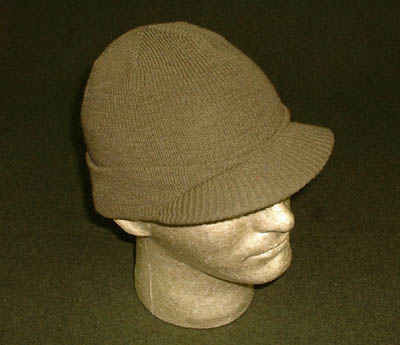 The 10th distinguished itself in Italy during WWII by defeating German positions in the rugged mountains of northern Italy. 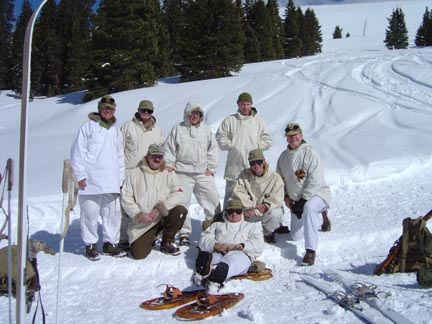 After the war, several of the 10th Mountain Division members were instrumental in the development of the skiing industry throughout the United States. 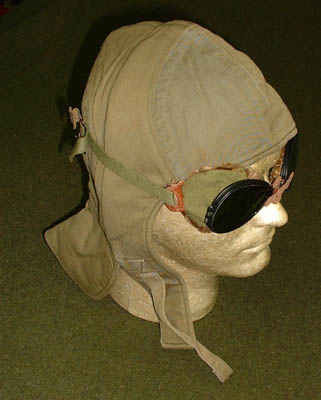 This museum is a pictorial display of equipment used by the 10th in World War II. 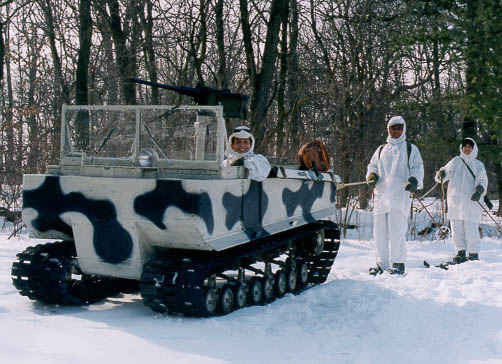 The Weasel was often used to pull ski troops through the snow. 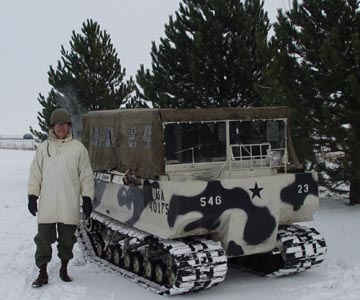 Ski troops would ride behind the vehicle where tow ropes would be tied as if on a rope tow. 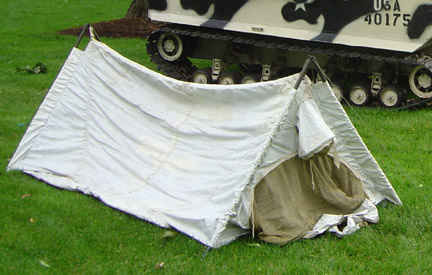 The canvas top has been stowed on this vehicle which has a cal. 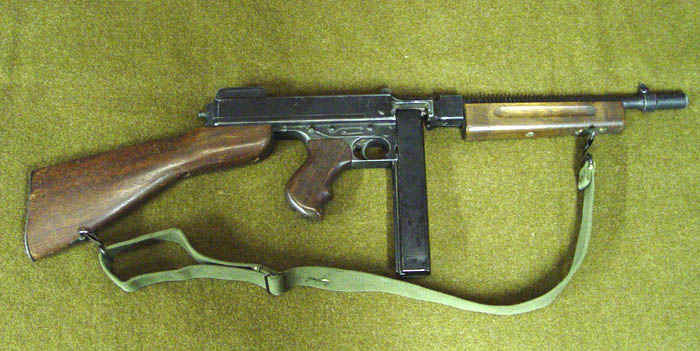 50 machine gun is mounted at the center of the vehicle. 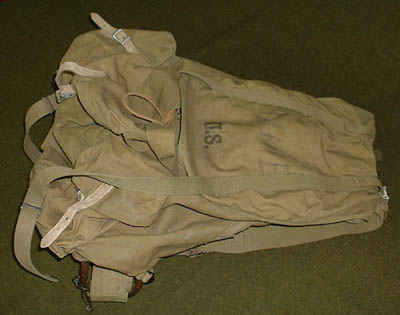 Pack artillery was designed to be easily disassembled and carried by pack animals such as horses or mules. 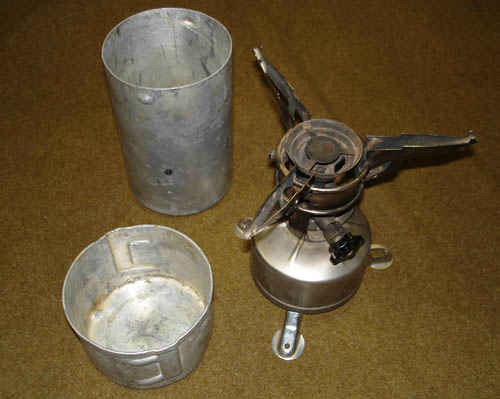 This small lightweight Howitzer was used throughout WWII and could be disassembled into six major loads to be carried by the pack animals or mountain troops. 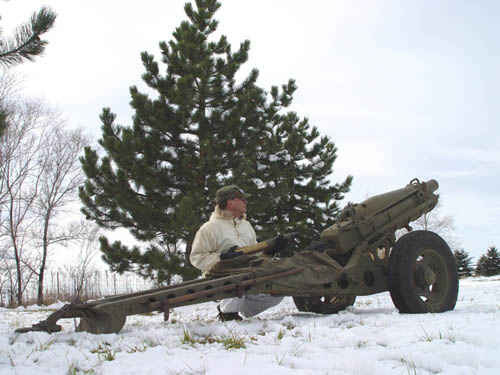 The 75mm Pack Howitzer M8 is shown above and was used by the 10th. 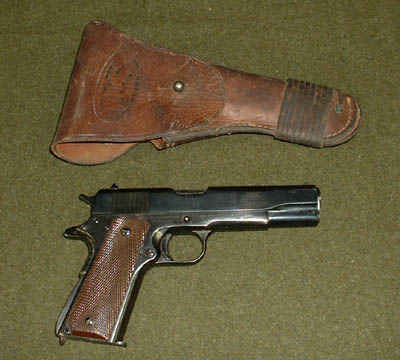 Rifle, Cal. 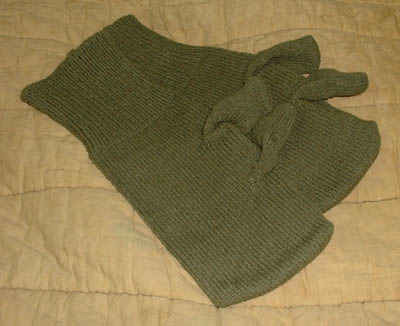 30-06, Semi-automatic "Garand," 8 round clip. 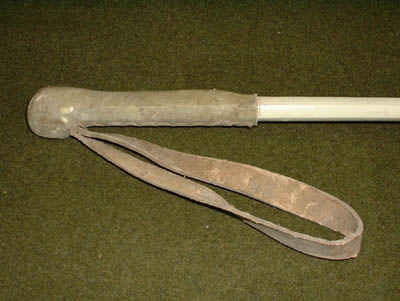 This rifle was used by most of the members of the 10th Mountain Division. 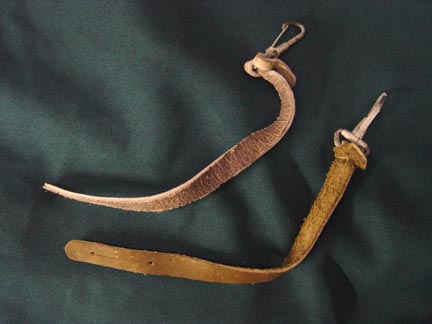 Ski pole leather handle with leather strap to support the hand when polling. 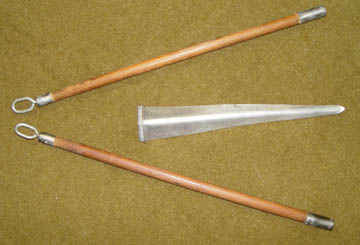 The shaft is made of wood with a hexagonal cross-section. 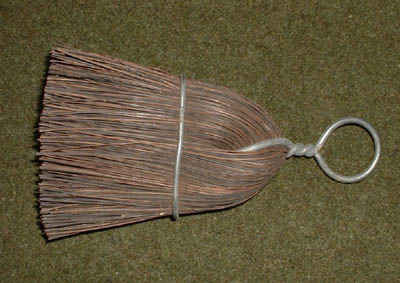 Ski pole basket and pick. 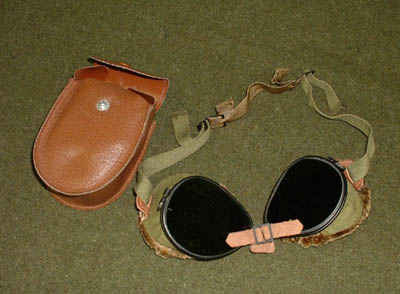 The basket is laminated wood with leather support straps. 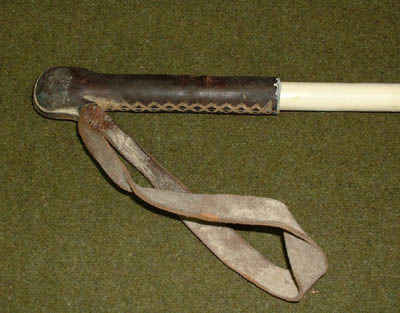 Ski pole leather handle of alternative manufacture, with leather strap to support the hand when polling. 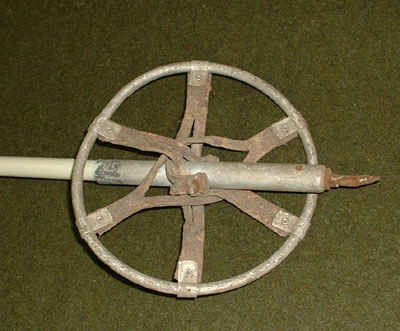 The shaft is made of wood with a circular cross-section. 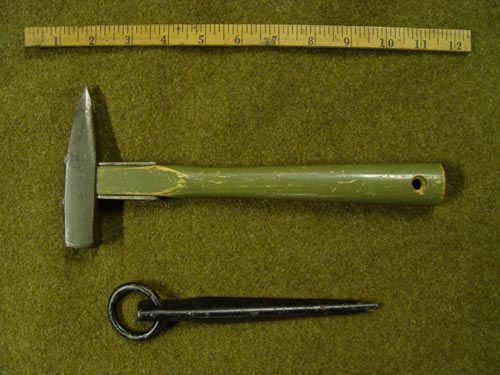 Ski pole basket and pick. 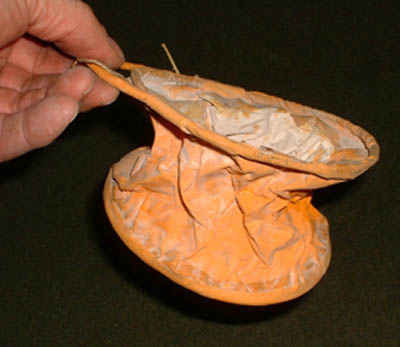 The basket is aluminum with leather support straps. 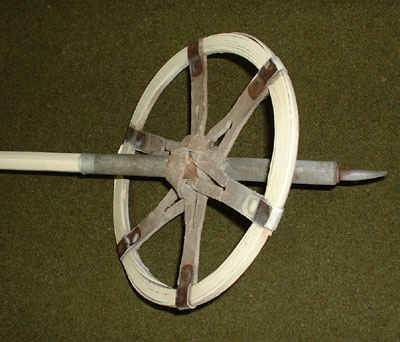 Ski pole basket and pick. This is another design using bamboo to make the ring. 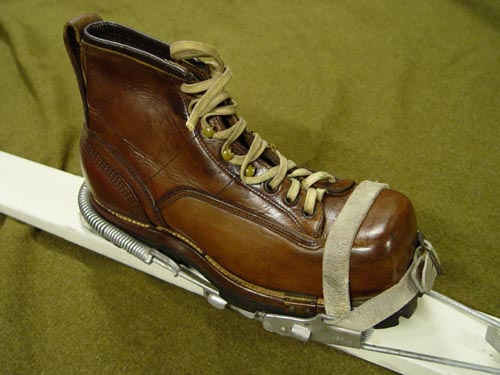 Ski, ski boot and binding system used by the 10th. 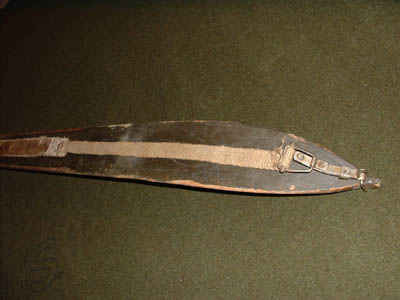 The skis were typically laminated hickory with segmented steel edges. 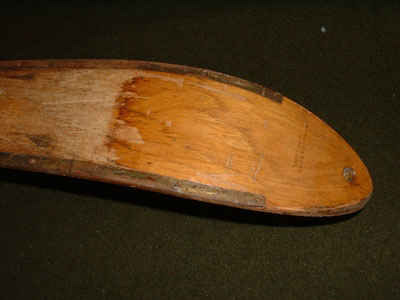 The bindings were of the nonreleasable design (bear trap) and could be set up for downhill skiing with the heel secured to the ski with a cable. 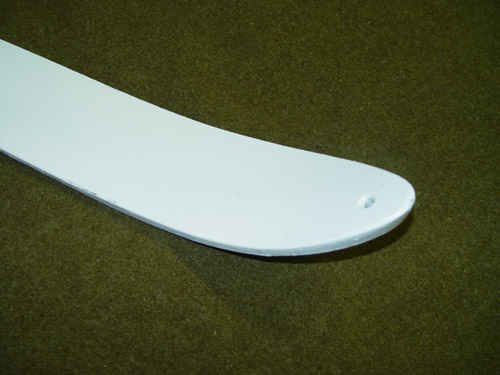 With a change in cable location from the rear to the side of the toe piece, the binding converted to a cross-country type binding where the heal would lift during the stride. 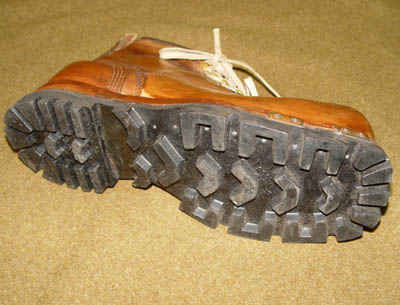 The boots had a square toe and heel grooves to accept the securing cable. 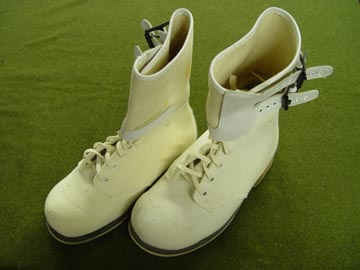 The boot was only ankle high, giving relatively little support for edging purposes; typical of the boot technology of the period. 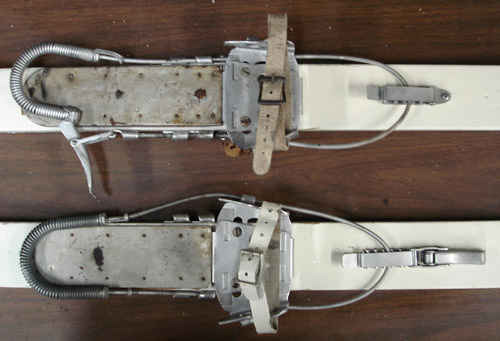 Bear trap ski binding with toe strap which was removed while not in use to tie the pair of skis together for easy handling. 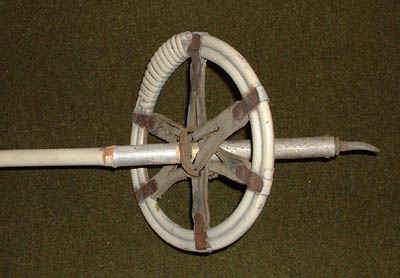 Shown above are two styles of the binding with the cam lock on the cable and the other attached to the front of the ski. 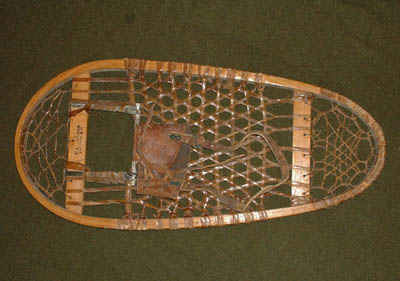 Ski tip of 1943 vintage military ski made of laminated hickory. 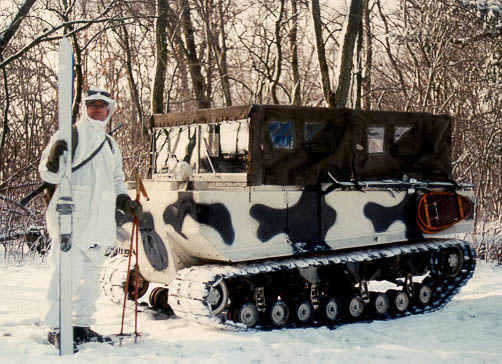 The skis were painted white on the top surface as camouflage against the snow terrain. 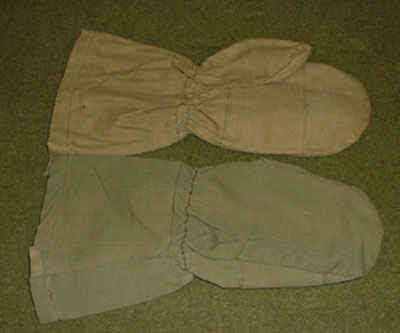 View of seal skin straps used to cross-country ski uphill. 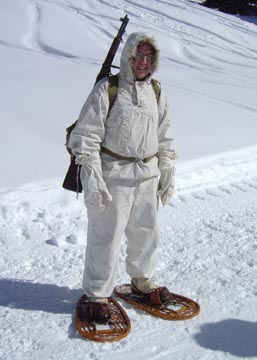 The seal skins were strapped onto the bottom of the ski, increasing friction so that the ski trooper could traverse up a hill without sliding backward. 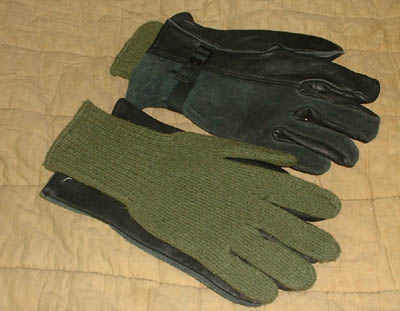 These were issued to the 10th, but several members were expert skiers and had their own. 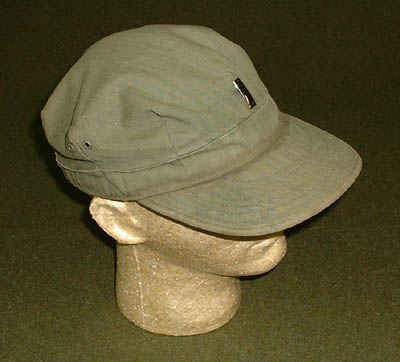 The one shown is of civilian origin. 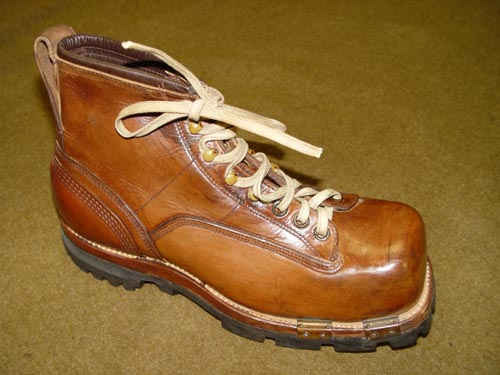 Boots, ski-mountain, a combination ski boot and hiking boot. 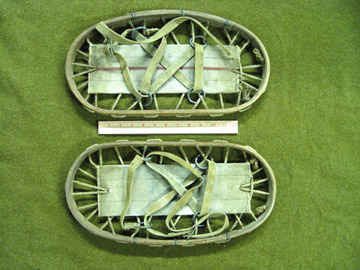 Bearpaw 13" x 28" military snow shoes manufactured in 1944 by the C. A. Lund and Company, Laconia, New Hampshire. 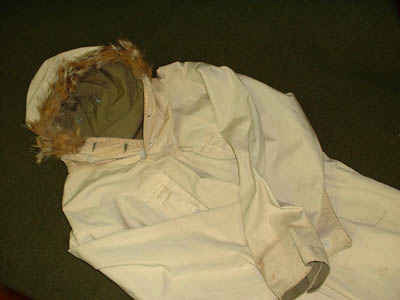 M1941 reversible parka with olive drab color on one side and white on the other for varying terrain conditions. 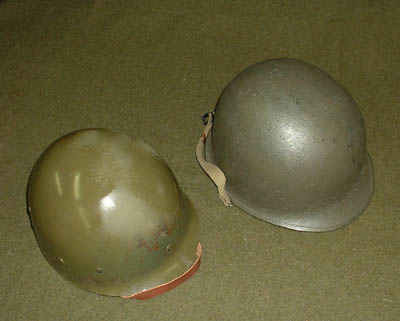 Liner, Helmet, M-1 and Helmet, steel, M-1 used by the 10th during combat. 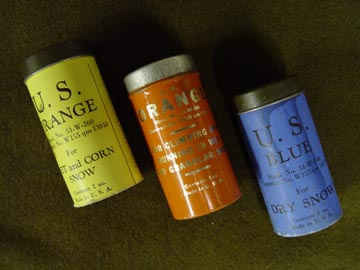 Orange ski wax for wet and granular snow, blue for dry snow and yellow for wet or corn snow, manufactured by F. H. Wiessner, Inc.
Piton, mountain, type V, soft iron spike for mountain climbing and hammer. 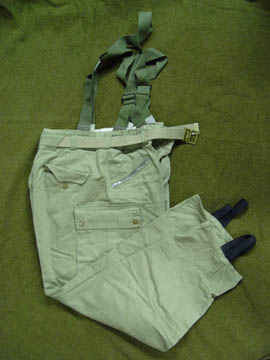 Run away straps to prevent skis from being lost if the binding releases. 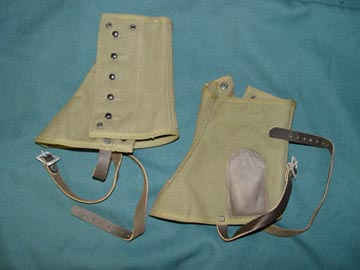 These early bindings were not designed to release while skiing. 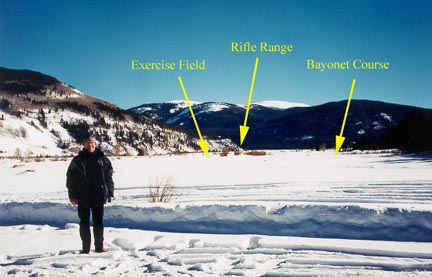 Camp Hale, the living and training area of the 10th Mountain Division in WWII, looking north in November, 2002. All buildings have been removed with only the foundations remaining. 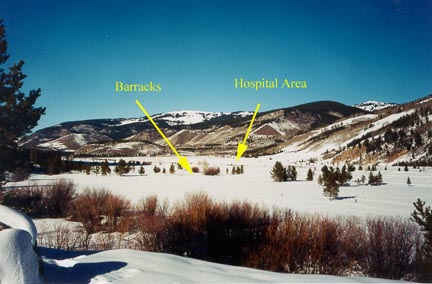 The arrows point to where the barrack areas and the hospital were located. Camp Hale looking south with the author on the left, November 2002. The arrows point to where the exercise file, rifle range and bayonet course were located. 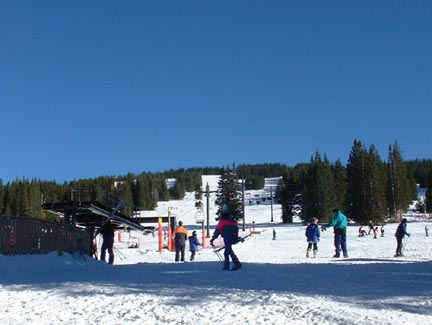 Cooper Ski Hill where the 10th Mountain Division trained throughout the war years. 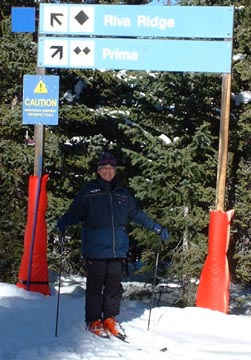 The author at Vail, Colorado at the Riva Ridge ski trail named after Riva Ridge, a collection of several mountains in Northern Italy where the 10th Mountain Division engaged the German 4th Mountain Battalion in 1944.